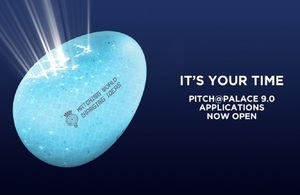 Pitch@Palace offers the chance for start ups and small businesses to present in front of an audience of influencers who can catapult them to the next level. As part of our remit to find innovators who can benefit the defence and security of the UK, the Defence and Security Accelerator (DASA) is pleased to support the Pitch@Palace 9.0 “Data, Intelligence, and The Future of Security” Defence-themed campaign. Set up by His Royal Highness the Duke of York in 2014, Pitch@Palace is a charitable trust which aims to guide, help and connect early-stage businesses with potential supporters, including CEOs, influencers, angel investors, mentors and business partners. The final event will be on the 31 January at St James’s Palace and will be attended by HRH Duke of York, Chief Scientific Adviser and senior MODrepresentatives/ ministers. Applications to the Pitch@Palace Series 9.0 should be made through the Pitch@Palace website. Applications must be made by 17 January 2018. Entrepreneurs who apply to the Pitch@Palace are first selected to participate in an On Tour Event, one of three regional heats from which they may get the invitation to attend a Boot Camp. At Boot Camp the participants will receive support and guidance on how to develop and hone their pitch, as well as support with investment, introductions and strategic guidance. All of the entrepreneurs selected for Boot Camp are invited to the final event at St. James’s Palace, and a selection of these pitch directly to an influential audience from the worlds of entrepreneurship, technology, media and investment. All of the Pitch@Palace Entrepreneurs, whether selected to pitch at St. James’s Palace or not, join the growing alumni network of entrepreneurs and receive ongoing support. For more information, visit the Pitch@Palace website.